You start out as an unfertilized egg laid in a drone cell. A drone cell is slightly bigger and on the edge and/or corner of the frame. You are an exact clone of the queen’s genes – only you are male, not female. 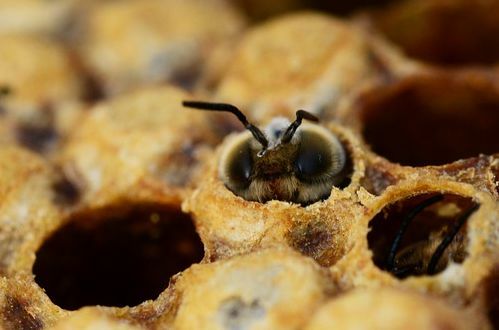 After 3 days, you hatch into a larva and are fed Royal Jelly for the next three days. Then your diet is switched to a less nutritious food called bee bread for the next 6 ½ days. When the time comes you are ready to build your cocoon and pupate into a bee. The cell is capped with a domed cap to allow more room for your growth. 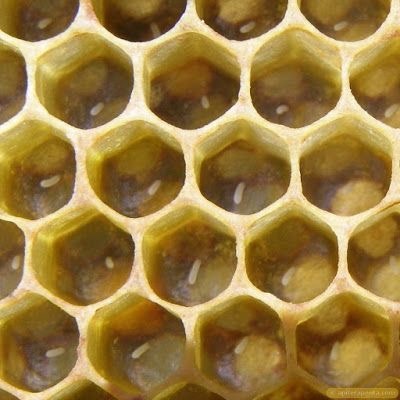 You remain in this state for 14 ½ days bringing your total time in the cell to 24 days – the longest of any other member of the hive. You emerge the most different of anyone in the hive. You have the same coloring but you are stockier with very large eyes. Eyes so large they almost touch at the top of your head. You have a stout, blunt abdomen with no stinger. Your tongue (proboscis) is shorter than your worker sisters. 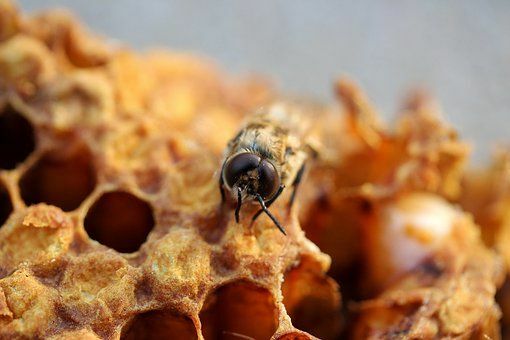 You cannot produce wax, protect the hive, forage for food outside of the hive, or clean the hive. Your sisters, the Worker Bees, have to tend to your needs. You cannot feed yourself at first. You have to depend on the worker bees feeding you. 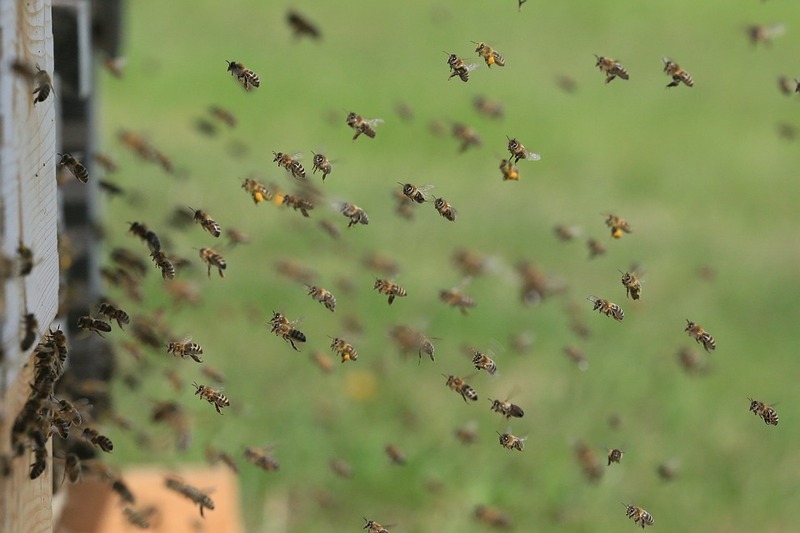 Your cell is cleaned out by worker bees. You learn where the food is and start to feed yourself, but you still beg for the really good food from your sisters. You are really expensive for the hive to sustain. Since you cannot contribute anything to the colony, what are you good for? One word – Mating. This is the only thing that Drones are bred for. You are an exact copy genetically of the queen since you started as an unfertilized egg. You are here to pass on the genes of the queen. You are also a status symbol of how “wealthy” the hive is. They are doing so well that they can afford to house and feed anyone that cannot contribute back to the hive. You start your days orienting yourself outside of the hive. 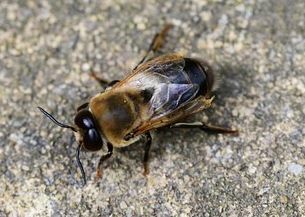 You fly in short bursts further and further away from the hive to gather your surroundings. You are getting ready to find a Drone Congregation Area (DCA) to mate with a queen. You have to find your way back in case you do not mate. You go out looking for the DCA. Drones release their own pheromones. This helps to find the area. Every day you go out to these areas. If you do not mate you come back to the hive and beg for more food. You are so excited to mate; you and all the other drones will take off chasing after anything the “flies” through your area – other insects, even rocks thrown at you. Finally a queen comes by her pheromones alerting you to her presence. You and everyone else in the area pick up on this signal. You all chase her down. Luckily, she will mate with several other Drones – so you have a shot. You watch as another Drone mates with the queen first. He instantly becomes paralyzed. He gets bent around to the underside of the queen still attached to her. His appendage gets ripped off and the queen flies away with it as he falls to the ground dead. Maybe it’s a good thing you have yet to mate, but you are not bright enough to figure that out. Since a lot of time and energy go into keeping drones, during a dearth (or a lack of forage) the oldest Drone larva is pulled from the cell and killed. If this dearth continues the more Drones that are killed. They need to sacrifice the ones that do not add to the production of the hive until the dearth is over. But this year is a good year and you are able to live a long time trying to find a mate. But alas there were no queens to mate with. The days are getting colder and shorter. The food sources are dwindling down. Finally one day the sisters that you beg for food from, the ones that have taken care of you all summer long, push you out of the hive. You are ejected with all your other brothers. You are now starving and cold where you succumb to your new living conditions.